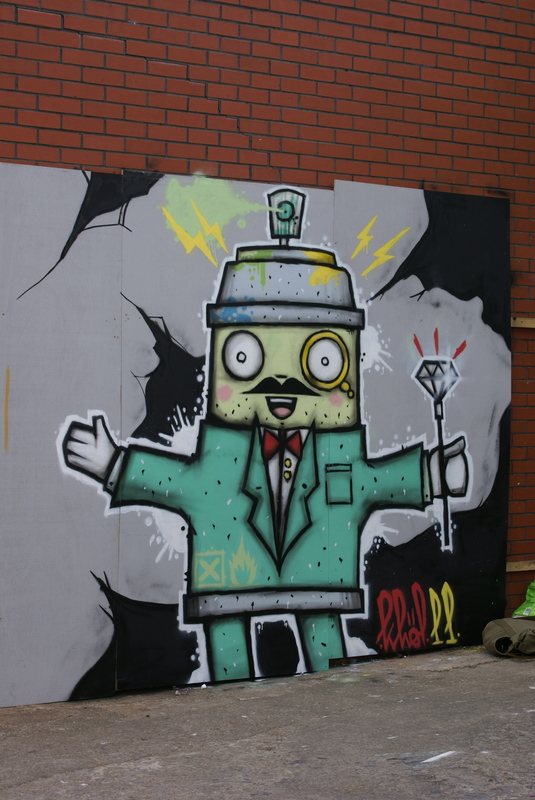 As part of The Deaner Show that opened on Friday (20th May) at The Upfest Gallery in Bedminister, a paint jam was organised for the weekend in the Vector car park on Raleigh Road Opposite The Tobacco Factory. 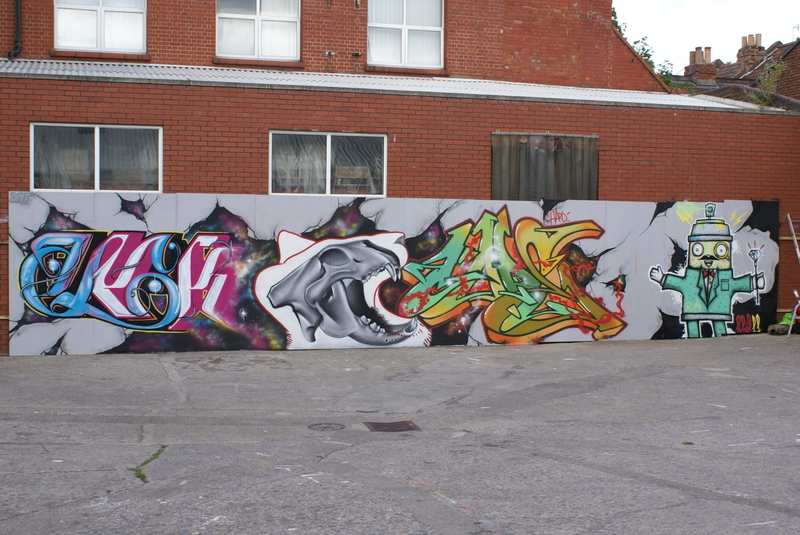 Here are a few photos from Saturday’s jam featuring Epok, KaiOne, Zesk, Stae, Shade, Khoi, Bandito, Lokey, Zase, Ryder, Mr Riks, Deksi, 3rd Eye, Bowsell and Soker. 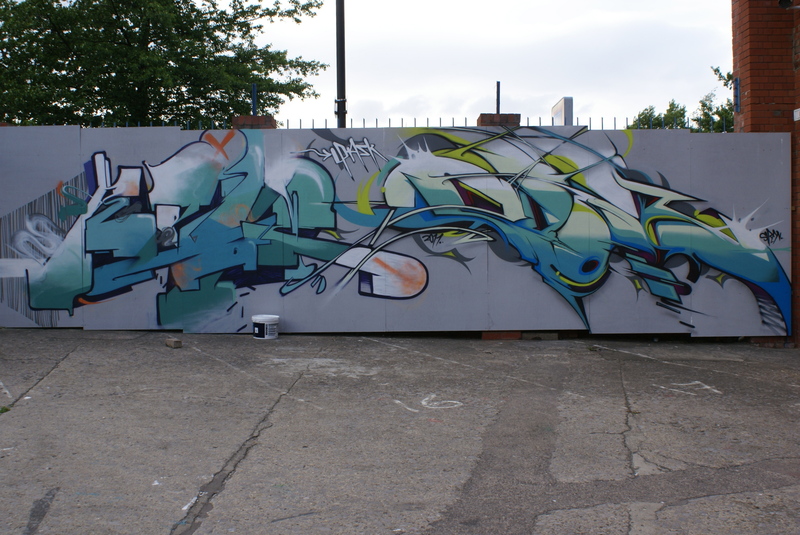 The walls will remain for the next two weeks when they will be repainted as part of the annual Upfest ’11. 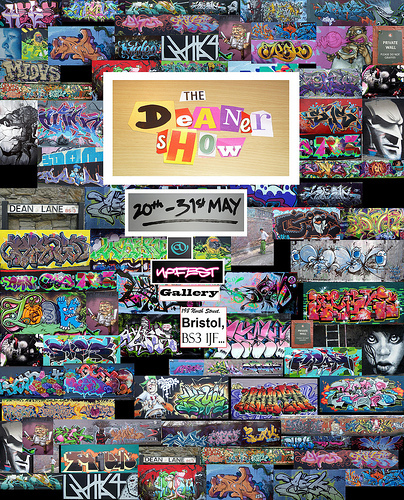 It’s worth checking out The Deaner Show too, some really nice work work in there. 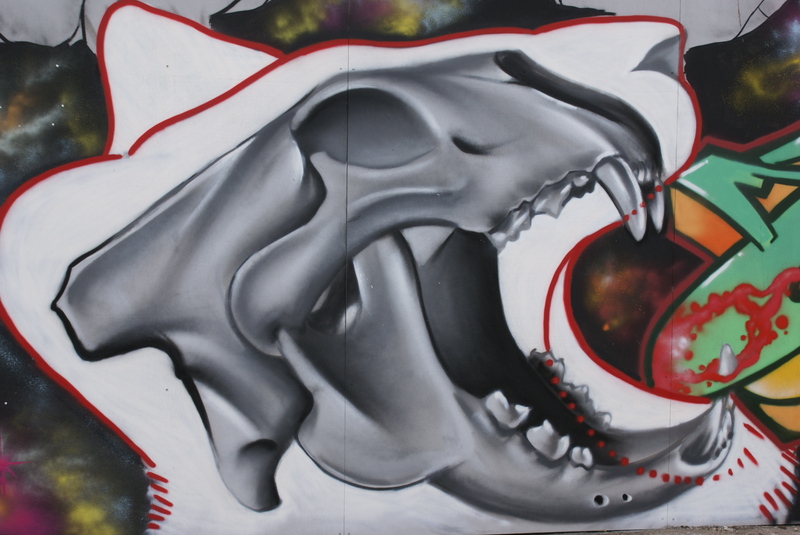 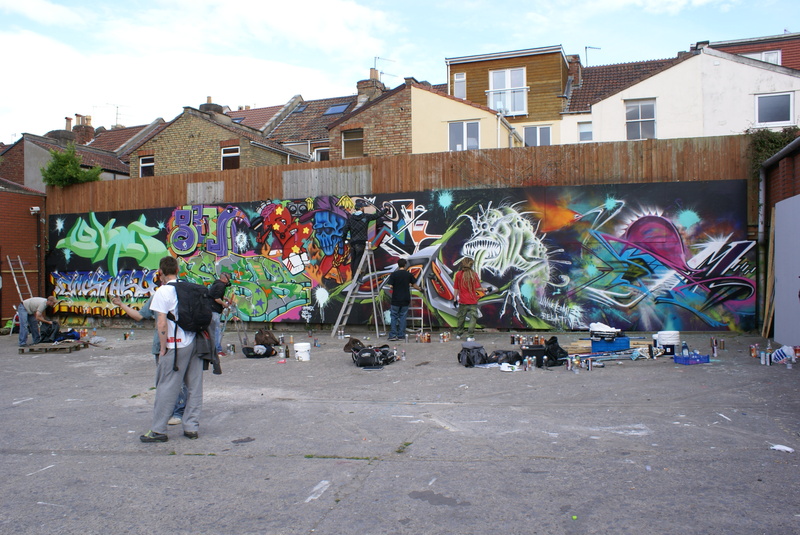 Featuring artists who have painted the walls at Dame Emily Skate Park, Bedminster, Bristol over the past 20 years! 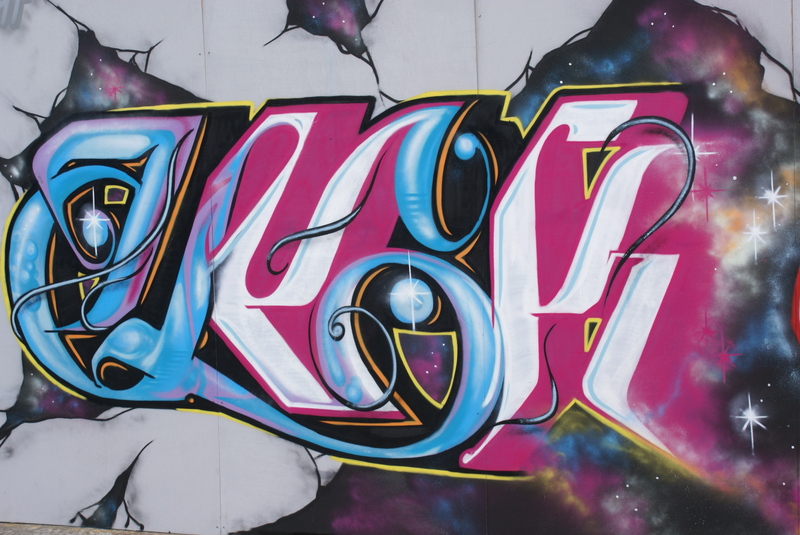 And that’s quite alot! 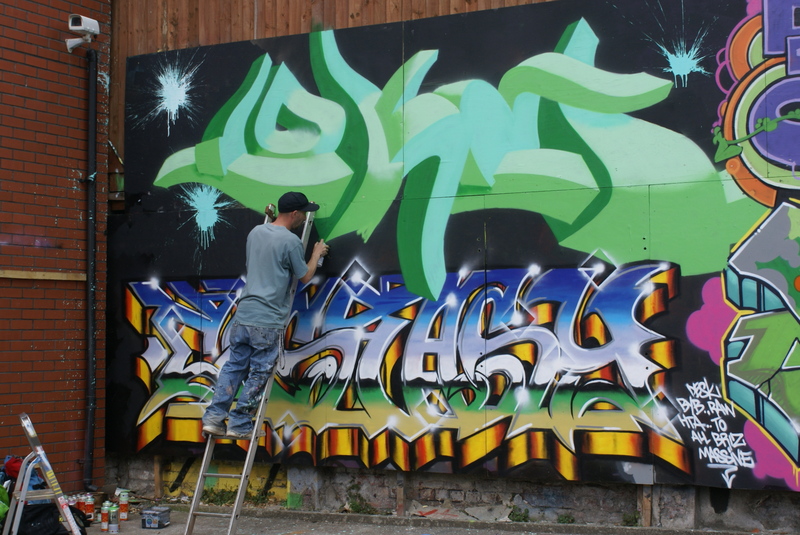 “Dame Emily Skate Park in Bedminster was, and still is, the most important and frequently painted graffiti hall of fame in Bristol. 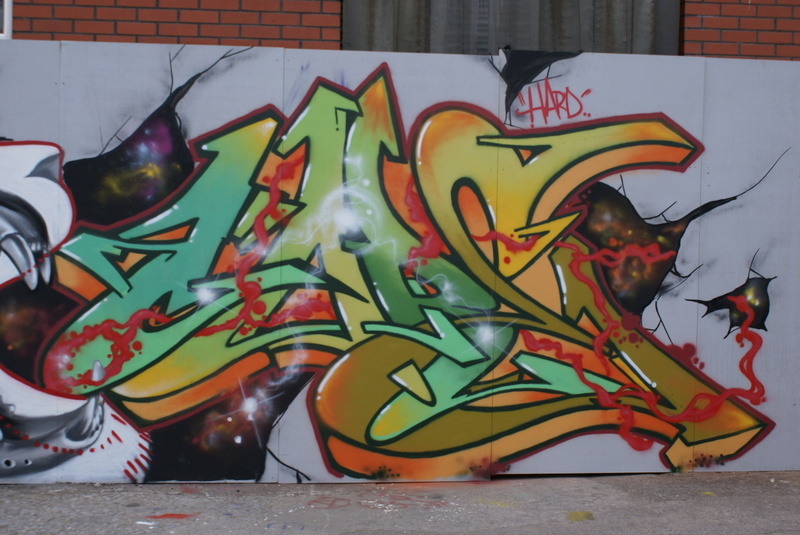 It was where the city’s first crew, the Z-Boys, took their initial, tentative steps into writing – on a ramp, rather than a wall – and was the location of some of the biggest jams ever held in Bristol.